Volkswagen's hiring of Marie-Christine Caubet to run its French operations offers an interesting twist. When Renault's former European sales boss replaces Daniel Coppens on July 1 she will have a chance to fix a flaw she noticed at her future employer before taking the job: its opinion of women. In 2008, when Caubet, 58, was named as one of Automotive News Europe's 25 Leading Women in the European automotive industry, she told ANE the German automotive industry had not done enough to fight sexism and gender discrimination. "When I was responsible for pricing and sales forecasts, I had a lot of contact with the competition across Europe," Caubet said. "There was one instance when I was in Wolfsburg (VW's headquarters), the opposite numbers at that automaker thought I was the assistant of one of my colleagues," Caubet said. "I think in the German automobile industry there is still a lot of progress to be made." When ANE began its search for leading women in the European auto industry in late 2007, we found that there we very few females in power positions at the German automakers. We asked the automakers to tell us about any up-and-coming leaders in their ranks. The standard answer was: We dont want to single out anyone. We took that to mean: We dont have anyone. Perhaps the first step toward fixing this problem is the hiring of Caubet, who brings VW more than three decades of sales and marketing experience. With more progress in the right direction we may soon see a day when it is the norm rather than the exception to have women in the top management tiers at European automakers. 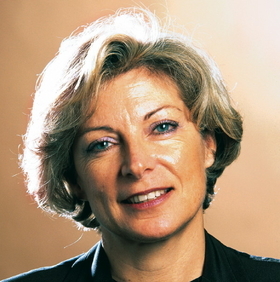 Automotive News Europe named Caubet as one of the 25 Leading Women in the European Automotive Industry in 2008.